Two teenage terrorists who stabbed an Israeli teenager were sentenced to 11 years in prison for stabbing a Jewish teenager by Damascus Gate. 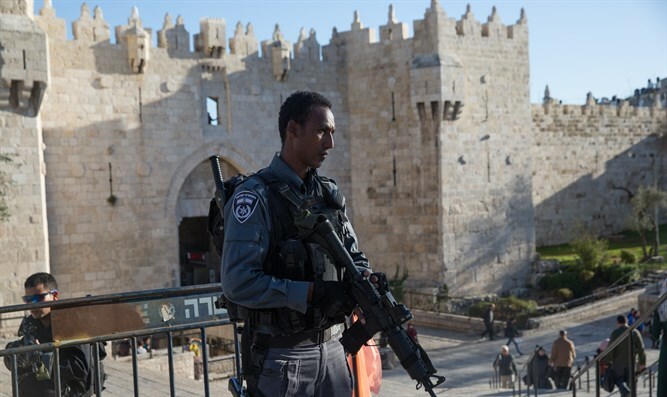 The Jerusalem District Court sentenced two teenage Arab terrorists to 11 years in prison for an attempted stabbing attack the pair carried out at Damascus Gate in January. The terrorists, a 15 year old boy and a 16 year old boy from the Shuafat refugee camp whose names were not released due to their status as minors, stabbed a 17 year old Israeli boy in the back at Damascus Gate. The victim was lightly wounded. The terrorists were convicted of two counts of attempted murder and one count of possession of a knife. The court also fined the terrorists 50,000 ($12,500) shekels each in compensation towards their victim.